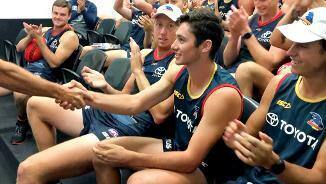 Eddie Betts and Suns Defender Jarrod Harbrow speak about playing on each other this Sunday. 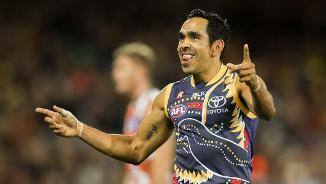 Crows players do their best to describe Eddie Betts in one word. 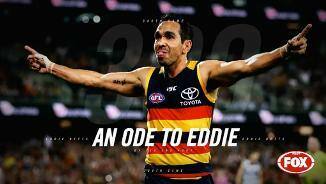 Watch all three of Eddie's Goals of the Year. 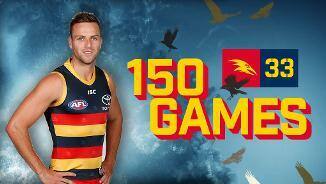 Brodie Smith will play his 150th AFL game this weekend against Gold Coast. 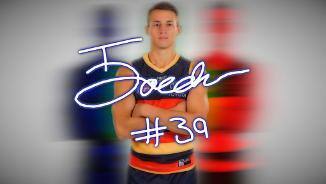 Have a look at some of his best Highlights. 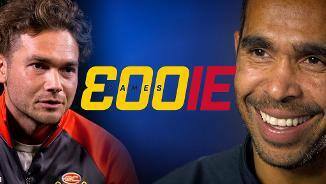 Eddie Betts speaks to Gerard and Robbo on AFL 360. 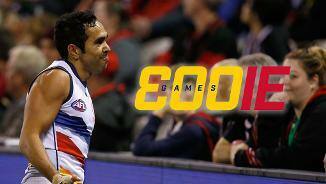 Five of the AFL Captains speak about Eddie Betts before his 300th game this Sunday. 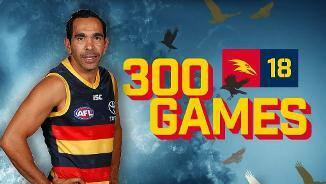 Eddie Betts will play his 300th AFL game against Gold Coast this weekend and what a career he has had! 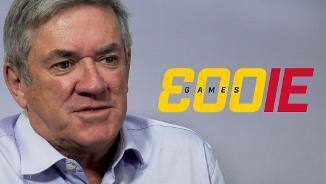 Here are some of the best highlights. 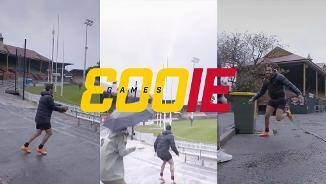 Watch the best of Chayce Jones. 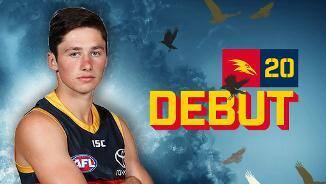 Youngster Chayce Jones will make his AFL debut this weekend against Hawthorn. 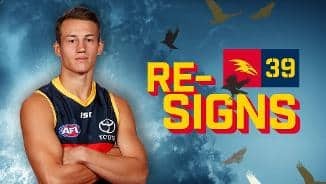 Tom Doedee will remain a Crow until at least the end of 2021. 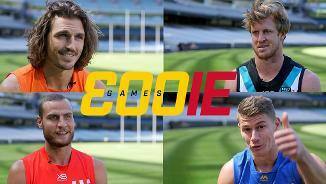 Watch the best of star defender Tom Doedee. 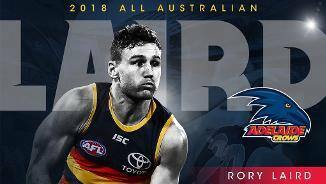 Rory Laird has been selected in 2018 All Australian team. 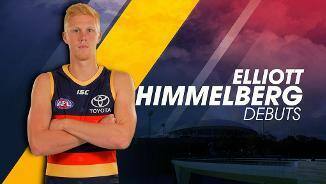 Elliott Himmelberg will make his AFL debut this weekend. 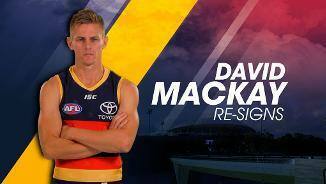 David Mackay has signed a new one year deal with the football club.